Bond has been set at $100,000 for an Arlington Heights man responsible for a string of residential burglaries throughout the Northwest Suburbs. Jerry Dickens, 41, of the 2200 block of Nichols Lane in Arlington Heights was arrested by Arlington Heights Police on Thursday, November 17th. Dickens has been charged with three counts of residential burglary related to thefts in Arlington Heights, and Unincorporated Palatine Township. In mid-September, Cook County Sheriff’s Police Detectives began investigating a possible burglary pattern throughout Unincorporated Palatine Township. After opening an investigation and issuing a Critical Reach bulletin to other law enforcement agencies in the area, it was learned that Arlington Heights Police Department was investigating a similar string of burglaries in their town. On November 17th, Sheriff’s Police Detectives were called to a residence in the 1900 block of Trail Ridge Road in Palatine Township after a break-in where a back patio door was breached and currency, small electronics, jewelry, and laptops were removed from the home. On the afternoon of November 17th, Arlington Heights police officers were conducting extra patrols in an area of recent burglaries, when they noticed Dickens, who met the description of the burglary suspect. Officers observed as Dickens discarded items while attempting to walk away. After investigating the discarded items, which turned out to be several pieces of jewelry, officers approached and detained Dickens for questioning. CCSPD Detectives were notified by Arlington Heights police that a burglary suspect was in custody. Dickens admitted his involvement in a series of break-ins and identified numerous locations throughout Arlington Heights and Unincorporated Palatine Township that had been his targets. While three felony charges have been approved, several additional charges are expected to be added during indictment, pending additional identification of recovered property. 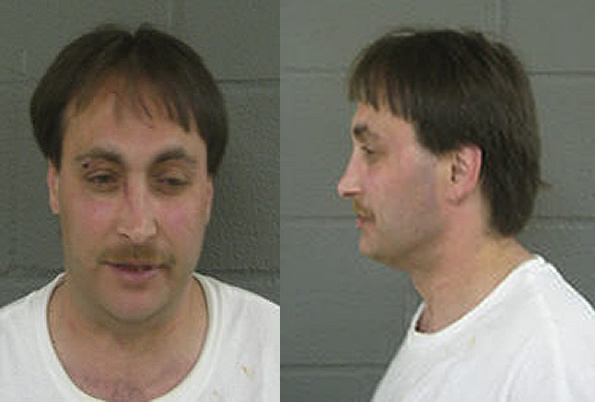 Dickens will appear again in court on December 15th, in Rolling Meadows.